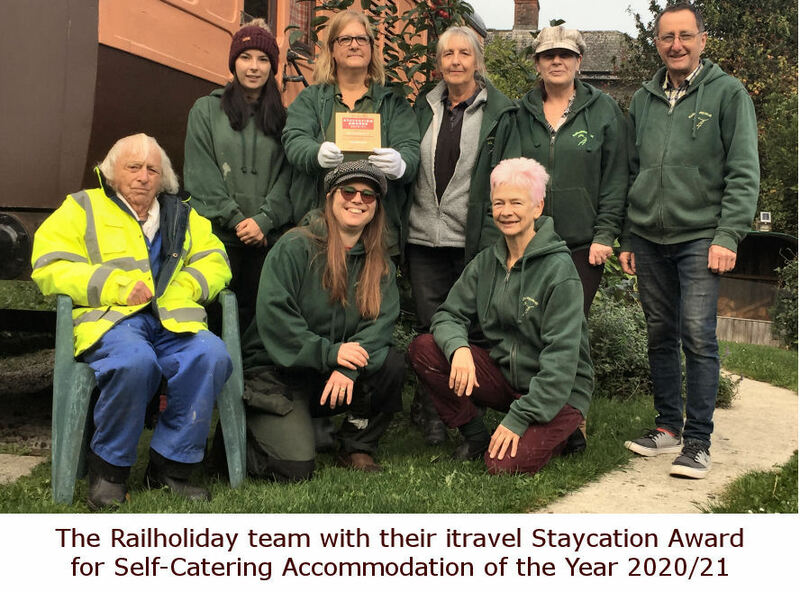 Railholiday began rescuing derelict carriages and converting them into self catering holiday accommodation in 1996. The business is based at St Germans in South East Cornwall, UK where we have four carriages available for letting with more pending. 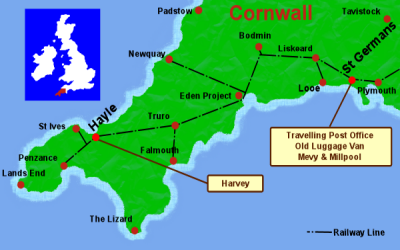 There is another carriage, Harvey, located at Hayle in West Cornwall. 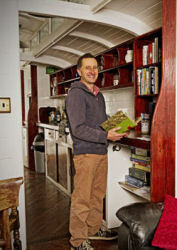 Environmental sustainability is very important to the owners of the business, Dave and Lizzy Stroud. You can read more about our green journey here, for accessibility click here, and for the legal stuff click here. David and Lizzy Stroud - company directors and their children, Walter and Poppy. Lizzy is a musician by trade. Having discovered that a Music and English degree does not offer the protection against gainful employment she had originally hoped, she now heads the areas of marketing, environmental growth and gardening. Dave is an engineer, originally having his own business in agricultural machinery design and construction. He is now in charge of the conversion work, accounts and practicals. Dave does the construction side of the website, while Lizzy deals with content. Together as a hobby they play in the band Wurlitza and add live soundtracks to silent films. Walter (19) is at university studying electronic engineering, whilst Poppy (16) can be relied upon to create beautiful Christmas cards and great videos and is doing a Diploma in Art and Design. 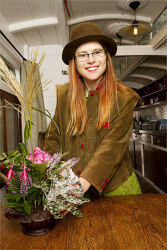 Poppy also works for Railholiday on fridays as chief flower arranger. 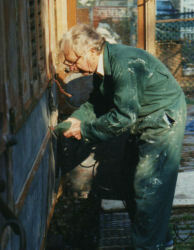 John Stroud is our most senior member, chief paint stripper and up-cycler, as well as photographer. With a great knowledge of organic plant care Lil Lanyon is our Friday gardener but her talents include book making, so she also gets drawn into mail shots and card making. 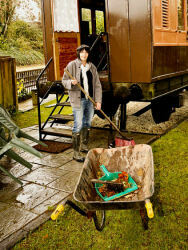 Nicki Watts (Lizzy's sister) is in charge of keeping the carriages spick and span, but can also put her hand to almost anything else, from digger driving to window frame construction. 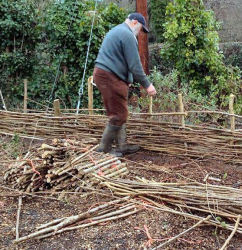 Tony Lister (Lizzy's Dad) runs Kerensa Aval Cornish Apple Juice a bottle of which will be found in your carriage on arrival as well as making fences and other practical things. 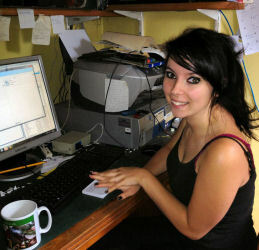 Emily works with Nicki on the changeovers and helps Lizzy in the office for a few hours each week. 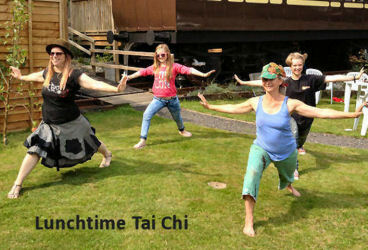 Kath Revell primarily keeps the carriage paintwork looking fresh but will turn her hand to any task asigned, from stuffing envelopes to keeping the staff healthy with her weekly Tai Chi sessions. 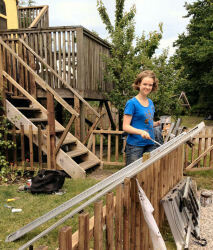 Ruby is Kath’s daughter and helps out when she's not away doing arty things. Bob Lewis, our wonderful caretaker in Hayle is truly reliable and helpful, sorting out any problems that arise and making sure everything is right for our guests when they arrive in Harvey. While these are our core staff, there are many others who help along the way, and several local tradespeople without whom we would struggle, including Ben Patrick, our wonderful work experience lad of several years turned employee and now moved on to a full time post at the Lappa Valley Railway, Richard Elliott; our local electrician who is always there in our hour of need, Mike Eastment; our local plumber, Paul Ager; Blacksmith, Dave Lock; landscape gardener, Paul and Selina Luscombe Luscombe Upholstery, Irene Vidal Cal, who has been producing fabulous artwork for us initially under the Falmouth University postgraduate placement scheme and now as a fully fledged artist, Lara Kleckham; environmental advisor, Brian Hoskin; artist, Katy Havelock; sign writer and Jacqui Gratton; marketing advisor. In addition we have numerous friends who help us out when deadlines loom, to whom we are always very grateful! Pictured below are a few of these many helpers at a party we held to celebrate completing Mevy. 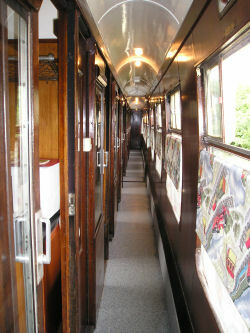 Becoming the proud owners of a fleet of holiday railway carriages has been something of a surprise to us. It was never really a life decision to take this course, it just happened organically. 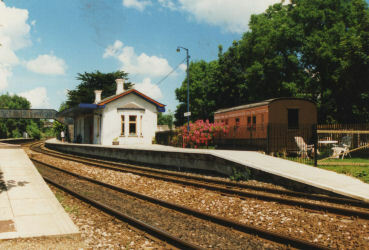 In 1992 we bought the derelict railway station building in the pretty village of St Germans and got planning permission to change it into a house. A few years later, while digging the garden we discovered a siding and decided a little carriage body would be the perfect solution for putting up visiting friends and family. 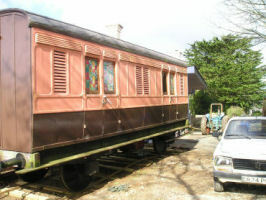 Having tracked down our first project, the Old Luggage Van, in a builder’s yard in Liskeard, we set to converting it with the help of a friend who’d had experience of converting camper vans. We decided to let it to the public to help pay for the conversion and soon found we had a good business on our hands among the rail enthusiast fraternity. Spurred by the success of The Old Luggage Van, and with the arrival of a tiny son Walter, whose prime obsession was trains, we decided to expand and wanted to offer a similar experience – a train based holiday that could be reached by public transport. We contacted the railway to see if they had anything suitable to let and settled on a large site beside the station in the fascinating coastal town of Hayle. Thus began our second project – a 1957 corridor coach, complete with all the original fixtures and fittings. This also was our first insight into the challenges of moving such a beast! Originally at Bodmin and Wenford, it made its way by road to Hayle on a special low loader and just managed the steep hill up to Hayle station. We held our breath, especially as the whole process was being filmed by the Discovery Channel for their series Amazing Conversions! That was a long time ago. Our daughter Poppy was born a few months later and together with Walter we spent many happy months completing the conversion at Hayle, living in the carriage as we worked. We’d obviously caught the bug, because before long we’d found another coach on the internet, this time a historic Victorian Travelling Post Office body that had been behind the City of Truro when it became the first train to exceed 100mph. We decided to look closer to home for a site and arranged to rent a little parcel of land from the local estate on the other side of our station home. The only problem was that it was too small for the coach we’d got our heart set on. 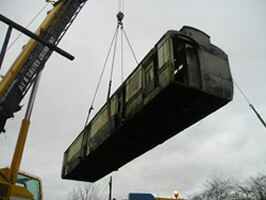 There was only one option – to move the Old Luggage Van. This was quite a challenge! 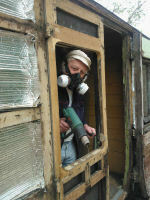 Dave had made a replica chassis for the Old Luggage Van with working wheels, but we’d never really put them to the test. With the assistance of our trusty 1954 Fordson Major tractor and friends to help move the track we pulled the Luggage Van across the station forecourt and into its new home. Perhaps here would be a good time to mention one of the greatest challenges of this line of business, other than the obvious ones of planning permission and land leases – coach moving! With a large coach like The Travelling Post Office there are only a few specialist companies in the country that have the equipment to move them, and a grounded body like the Travelling Post Office also needs a large crane. We bought the TPO from Brecon, and needed a crane from Cardiff. The movers, Moveright International, came from Birmingham. When they arrived to pick up the coach they discovered there was nowhere to turn, so had to reverse the 120 foot low loader for nearly three miles back to the nearest major road. We were infinitely grateful to the kind patience of the local Welsh drivers that day! 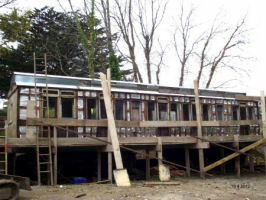 In 2006 we’d completed the conversion and were welcoming guests to our beautiful new coach. 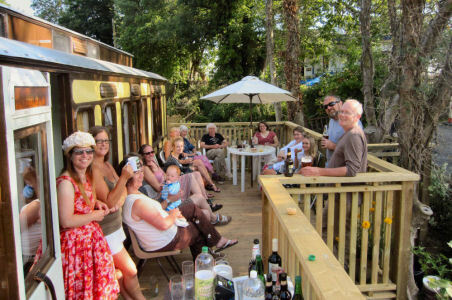 So in a nutshell carriage holidays are a great fun business to be in – it’s wonderful meeting so many interesting people with a passion for trains, and to be able to offer holidays that can be accessed by public transport. 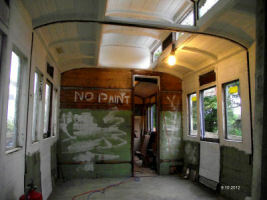 It’s been challenging – it helps enormously that Dave is an engineer and able to turn his hand to every aspect of coach restoration and conversion, from making giant steel under-frames to rebuilding wooden drop light windows. We are lucky to have such a wonderful raft of family and friends who help to keep us afloat with hands on help, childcare and moral support. 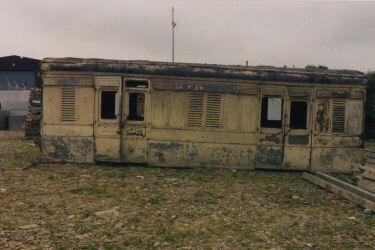 It’s great to look on at the once derelict coaches and think – we brought them back to life, and what a life they are having! We provide one medium sized towel per guest, hand and tea towels and all bed linen for no extra charge. Is your accommodation suited for people in wheelchairs? Millpool offers fully accessible self catering holiday accommodation that is perfectly equipped for wheelchair users. Mobility aids can be provided if needed. 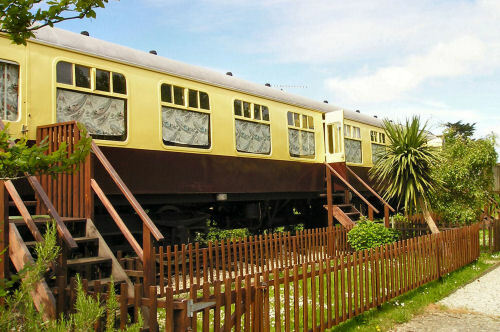 We offer self catering accommodation with a difference in railway carriages beside the railway stations of Hayle and St Germans. 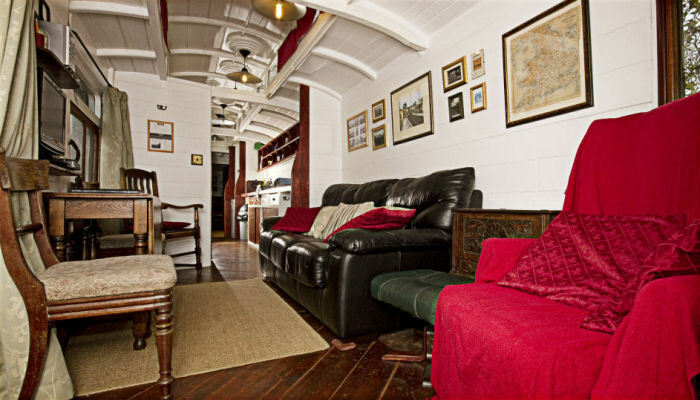 The perfect quirky accommodation choice, our carriages are one off holiday homes. Retro but with all mod cons. Do I have to pay extra for electricity? All electricity, gas, water, logs etc are included in the holiday price quoted. We use renewable energy from Good Energy. Are your holidays suitable for single people and couples? All of our holiday carriages are very suitable for single people and couples. Children are very welcome all year. 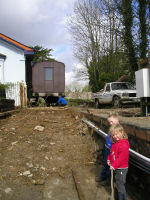 The Old Luggage Van and Millpool are generally too small for families, but Mevy, the Travelling Post Office and Harvey are great for children. We welcome dogs in all carriages except Mevy. All gardens are fully enclosed. Harvey has a very big garden, while the St Germans carriages have access to ten acres of woodland a ten minute walk away. Is your holiday accommodation suitable for allergy sufferers? All our carriages have hypoallergenic bedding. Mevy is best for allergy sufferers as we have a no pets policy for this holiday let. If you'd rather we didn't put in flowers please let us know! Is you accommodation suited for people with limited mobility? Millpool offers fully accessible self catering holiday accommodation that is perfectly equipped for wheelchair users. The Travelling Post Office is suitable for anyone with limited mobility and has a ramp. Is it good for trainspotting and rail enthusiasts? The Old Luggage Van and The Travelling Post Office are the best carriages for watching trains, as they have a trackside view. Can I have a car free holiday? Will I need the car? Public transport is excellent from both locations; it is easy to explore. There are both buses and trains to choose from at both locations, and footpaths a plenty. If I do bring my car, are there car parking facilities? There are good parking facilities at both sites, with free off road dedicated parking spaces in our car parks. How suitable are your holidays for people with limited mobility? Travelling Post Office in St Germans is suited for those with a little mobility. There is a ramp to the door, a mobility scooter can be provided on request. Our newest carriage, Millpool, is designed for wheelchair friendly holidays. Do you have any facilities for deaf guests? We have deaf friendly smoke alarm that is provided on request. Are autistic children and adults welcomed? Autistic children and adults are always welcome. Is there anything to see of a railway interest? 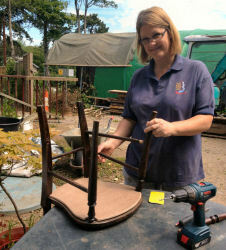 We have several carriages in St Germans that we are working on, which make for an interesting tour. We are also within easy distance of the Bodmin Railway (catch a train to Bodmin Parkway), who offer 25% off to Railholiday guests. 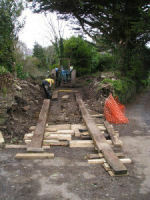 The South Devon Railway is also close, going from Totnes station. 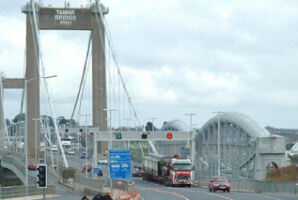 How close are you to the Cornwall Mining World Heritage sites? Harvey in Hayle is right in the centre of the Hayle Mining World Heritage site. There are lots of accessible sites in the Lands End area. How are the carriages heated? Harvey has mains gas central heating, Mevy and Millpool have central heating run from our biomass boiler, while the Old Luggage Van and The Travelling Post Office both have woodburners. All carriages also have electric heating. There is an unlimited quantity of wood provided for your holiday. Is it warm in winter? All the carriages are cosy and warm in the winter. All have back up fan heaters too, just in case you need extra localised heat. Are there things to do in winter? There are lots of attractions open in the winter. In Hayle Paradise Park is open all year, and has a play barn for children and teenagers (or the young at heart - there is no age limit!). 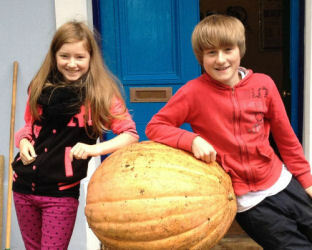 Eden offers winter wonderland skating, there are plenty of cinemas and Truro and Plymouth musueums are both excellent, as is the National Maritime Museum in Falmouth and Porthcurno Telegraph Museum. Cornish gardens have a fine array of camellias, many of which flower from December, and often there are winter food festivals throughout November and December - check our What's On page for details. I'm flexible with my holiday dates. What do you think is the best time of year for visiting? My favourite time is April and May, as springtime in Cornwall is particularly magnificent. However there is much to be said all year; wild seas in winter, glorious colours in autumn, lots to do in the summer...The snowdrop walk in our woods is a picture in January and February. Is the holiday suitable for vegans? There are many excellent places nearby for vegans to eat. Let us know and we'll put milk alternatives and vegan biscuits in your welcome pack. For suggestions of places to go, visit our food page. Do you welcome LGBTQ guests? We welcome all without prejudice. In St Germans there is an excellent community shop and Hayle has a fine selection of small independent shops. For bigger centres, we'd recommend Truro and Plymouth.